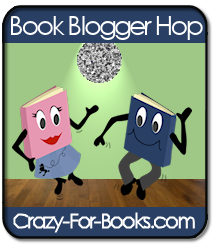 It's Blog Hop time again! Jennifer at Crazy For Books hosts this fun meme every week. I really enjoy seeing all of our blogging friends and meeting new people! This weeks' fun twist is to tell about the book you are currently reading. I am currently reading The Girl Who Kicked The Hornets' Nest by Steig Larsson. I've read both of the previous books in his trilogy and really liked them. I've just started this one, so I don't have anything to say except that if it's like his other two books, it will be great! Thanks for hopping by! I already follow your blog. :) I hope you enjoy the third book in the trilogy! I thought it was excellent, though my favorite of the books is still the first one. Have a great weekend, and happy reading! Thanks for hopping by my blog! happy reading! Just hopping by...thanks for visiting mine. I've been wanting to read the Stieg Larsson books. You have a great-looking blog here. Hi there! Stopping in from the Hop! I'm giving away *signed* copies of Shiver and Linger by Maggie Stiefvater. Be sure to check it out! Hi, I'm stopping by and just became a new follower. I haven't read this trilogy yet, but I've heard a lot of good things about it. Thanks for stopping by. I hope you have a great weekend! Hopping through from Aisle B and am a new follower. Housewife Blues and Chihuahua Stories book hop is laid back and waiting for some guests if you have time! Happy Friday from California. Pussreboots. Nice to meet you! I'd "so rather be reading", too! Love that name and love your blog!